ALAMEDA, Calif., April 16, 2019 /PRNewswire/ -- Beginning today, The North Face will activate "Explore Mode" in major cities leading up to Earth Day on Monday, April 22. 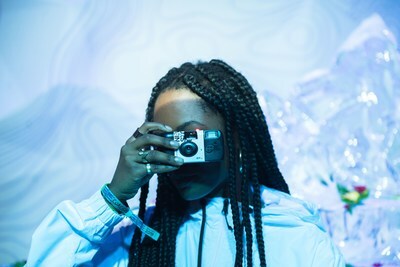 Throughout the week, The North Face will partner with musicians, artists and culinary influencers to host a series of one-of-a-kind experiences that encourage people to disconnect digitally and engage with their surroundings. "The North Face is no stranger to exploration and this Earth Day we are proud to join our partners and fellow explorers in a global effort to make Earth Day a national holiday," said Global General Manager of Lifestyle at The North Face, Tim Bantle. "We believe that when people take time to appreciate the Earth, they feel more connected to it and are more likely to protect it. Explore Mode urges us to unplug from our digital lives to connect in real life to the world, each other, and ourselves in the effort to move the world forward." 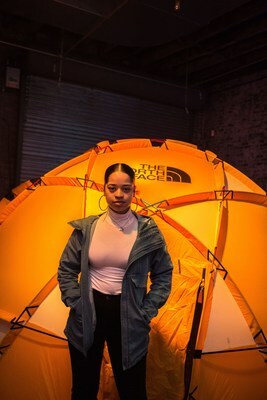 The North Face partnered with influencers including singer and songwriter Ella Mai, chef Angela Dimayuga and model and activist Gabrielle Richardson to host bespoke events in New York City that will reflect the brand's spirit and the mindset of exploration in music, food and art, along with encouraging exploration in the outdoors. These experiences will only be accessible to those who put down their phones and digital devices to be present in the moment. Tuesday, April 16: Grammy-winning singer and songwriter Ella Mai joins with vintage fashion collector and curator, Brian Procell, to throw the ultimate 90s throwback party - a mash-up of music and streetwear. Mai will pay homage to the hits and looks of past decades that inspire culture today, while Procell's collection, including vintage looks from The North Face, is on display. Thursday, April 18: Model-artist-activist Gabrielle Richardson takes over Skylight Soho to curate an art exhibition under the theme of exploration. Guests are invited to participate in a "live" piece onsite with Gabrielle and her partners through an interactive display of artistic exploration. "Exploration drives creativity. It is important to me to find musical inspiration from all the world's aspects," said Mai. "I'm excited to partner with The North Face to celebrate the many forms of exploration and show New York City what exploration means to me." The North Face is committed to social good through programs like the Explore Fund, as well as conservation efforts since its founding in 1966. 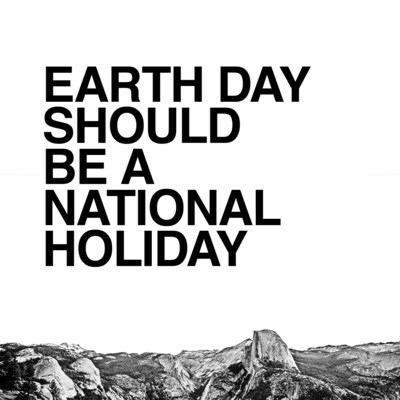 For more information on Earth Day as a national holiday or to sign the petition visit www.thenorthface.com. The North Face, a division of VF Outdoor, Inc., was founded in 1966 with the goal of preparing outdoor athletes for the rigors of their next adventure. Today we are the world's leading outdoor brand, creating athlete-tested, expedition-proven products that help people explore and test the limits of human potential. We protect our outdoor playgrounds and minimize our impact on the planet through programs that encourage sustainability. The North Face products are available at premium and specialty retail sporting goods stores globally and we are headquartered in California on a LEED Platinum-certified campus. For more information, please visit www.thenorthface.com.